As with most people, my first exposure to Samuel Barber's music was through his iconic Adagio for Strings, which I first played as an 11-year-old violinist in the Juilliard Preparatory Orchestra. I remember it being a deceptively difficult piece that required enormous control and concentration. I thought whoever wrote this piece must have been deeply emotional. Little did I know that, 25 years later, the music of Barber would be my entry point into the world of making recordings. Barber was born in 1910, 100 years ago this year, into a privileged life as the son of a prominent doctor in West Chester, Pa. He began piano at age 6 and started composing a year later. By the time he was 9, he announced, "I was meant to be a composer … so please don't insist on football." He had a lovely baritone voice and thought about following in the footsteps of his aunt, Louise Homer, a celebrated opera singer. But instead, he soon settled into becoming a composer. 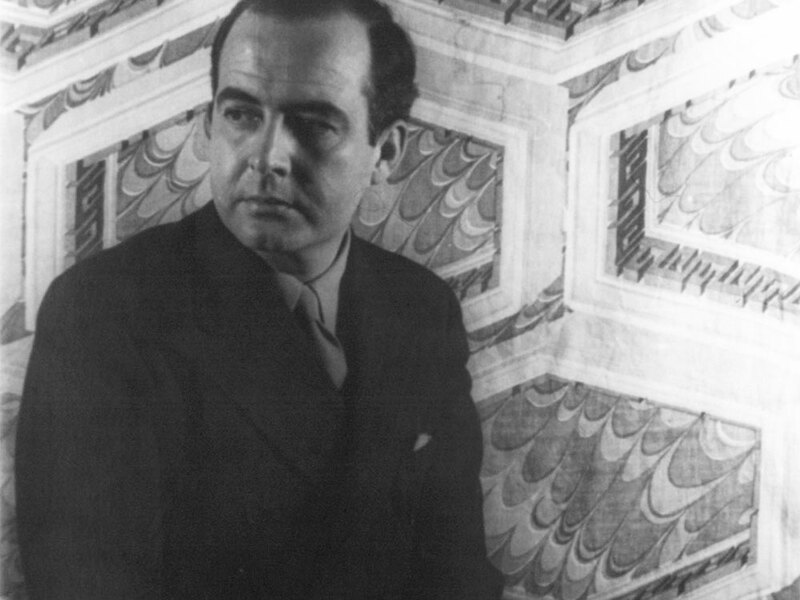 He entered Philadelphia's newly formed Curtis Institute at 14; there, he met fellow composer Gian Carlo Menotti, with whom he later formed a lifelong relationship. Meeting Barber through his Adagio for Strings is a fitting introduction to the composer and man. Like his defining eight-minute composition, Barber himself was a complex and enigmatic man. The epitome of grace and refinement, he was profoundly emotional, but always kept those emotions in check. Although he came across as intensely private, reserved and urbane, he was known by his friends as a loyal and incredibly funny man who adored gossip and was prone to violent outbursts. Unlike his companion, Menotti -- a peripatetic world traveler -- Barber was a homebody who longed for simpler creature comforts. It would be a crime to think of Barber only as the composer of the Adagio for Strings. His output as a composer is enormously varied, creative and inspiring. When I was first approached by Naxos in the late 1990s to record all of Barber's orchestral works with the Royal Scottish National Orchestra, I must confess that my vision of Barber was also somewhat myopic. I knew of him first through the Adagio and second through his Violin Concerto. As I got to know the range and breadth of his music, I fell in love with him anew. Indeed, those gorgeous melodies are a hallmark of many of his compositions (just listen to the oboe solo that starts the slow movement of the Violin Concerto), but his wit and skill at developing a small cell of material into an entire piece are beyond impressive. There's intrigue, too. Why did Barber order the score of his Second Symphony (commissioned by the Armed Forces) to be destroyed? Fortunately, a set of parts was unearthed in the 1980s, and we are able to experience this piece firsthand today. Was he embarrassed in the 1960s by his association with the U.S. military? Or did he really feel that the piece was below his standard? The work is a symphony about the Air Force, and Barber spent time preparing to write it by accompanying fighter pilots as they performed their maneuvers. Listening to the dizzying opening of the last movement, one can hear the thrills and acrobatics of his own experience. Barber was often vilified by colleagues for his unabashed affinity for Romantic thought and tradition. At a time when Karlheinz Stockhausen and Pierre Boulez were all the rage, Barber's "classicist" approach to traditional forms did not sit well. But he always followed his own inner voice and wrote music true to himself. That's not to say he couldn't write dissonant and angular music. Listen to Medea's Meditation and Dance of Vengeance or the Cello Concerto, and you hear a totally different side of Barber. Getting to know Barber's music was a revelation for me, and it has played a large role in the development of my artistic profile throughout the world. Whether performing his Second Essay at Carnegie Hall Nov. 13 or bringing his Symphony No. 1 to Tokyo last year, or premiering (yes!) his Cello Concerto in Philadelphia with the Curtis Institute Orchestra several years ago, Barber has become my lifelong companion.